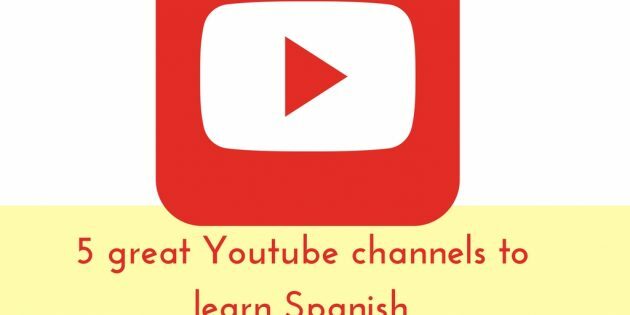 This blog post is for you, parents, here is a list of 5 great youtube channels to learn Spanish. Language learning is not an easy task and lots of factor come into play to make a success of it but if you already find yourself spending some of your time looking at Youtube videos why not make some use out of it. There are so many things out there that could potentially help you start learning a new language or to improve your vocabulary or pronunciation; it is not always easy to find good ones though, so I hope this blog post can help. This channel covers different topics, the videos are an average of 5 minutes, great to make sure you learn the vocabulary on that topic or maybe repeat it again. The pronunciation is clear and you can see the written words. These videos offer useful grammatical explanations. Perfect for beginners not to be too overwhelmed. You can follow her in all other social media channels, she shares good Spanish music as well as Pocoyo episodes for the little ones. A great channel. I used these videos at secondary level Spanish, intermediate, my pupils used to call them “Spanish Friends”. It is the story of an American pen pal coming to Barcelona to visit her Spanish correspondent. The stories are funny and easy to follow if you already speak some Spanish. A fabulous way to learn Spanish in context. the link is to the first episode since they can be in different channels but you will see chapter 2, 3 ect next to them. I really like this channel, also for intermediate level, it offers authentic use of the language with videos around different cities and places, sharing as well a great cultural insight into the places they visit. Great to hear the Spanish spoken in many different ways and with subtitles in english and Spanish to help you build vocabulary, work colloquial grammar and learn authentic expressions. Another great resource that offers different style videos and levels. Some good and useful grammar explanations, some fun activities for higher levels like tongue twisters karaoke and interesting podcasts that have subtitles if you activate this feature in youtube. I hope you will find these useful, of course get in touch if you need any help, I am always happy to assist you in your Spanish learning journey. If you are looking for resources for your children, check out our other blog posts to get some ideas. If you are looking for a structured programme to introduce Spanish to your little ones have a look at our membership. Instagram for all our news and updates. 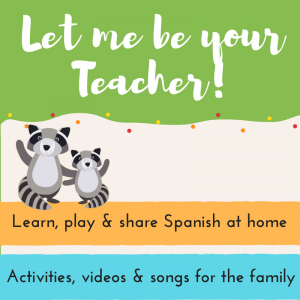 Would you like your children to learn Spanish?